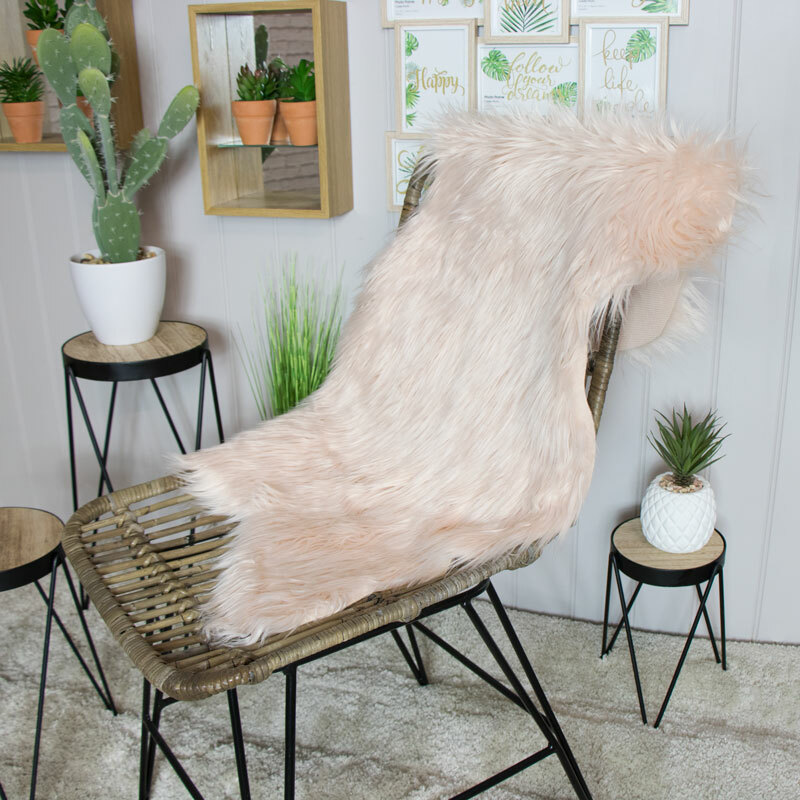 Let this beautiful Faux Fur Pink rug add a cosy touch to your bedroom. A soft haven for your feet to brush against. Its subtle light tone of Pink is perfect for a nursery, girly room or even in the living room or hallway. Add a classic, traditional mid-century meets vintage boudoir look to your chic or contemporary room. Let this beautiful Faux Fur Pink rug add a cosy touch to your bedroom. A soft haven for your feet to brush against. Its subtle light tone of Pink is perfect for a nursery, girly room or even in the living room or hallway. Add a classic, traditional mid-century meets vintage boudoir look to your chic or contemporary room. With different colours and sizes available you can really give your room the added touch of comfort it needs. Check out of full range or rugs we have available on our website. Simply search 'Rug' in our search bar.